The picture of outdoor cooking​ grilling experience seems incomplete without ​barbecue charcoal grill​. Using a charcoal grill or even a portable charcoal grill is not easy, however, and the many nuances of the grilling process often end the charcoal adventure before it begins. The questions are overwhelming. If there are a myriad of wrong ways to start a fire, what is the right way? Then, once you have a fire, what do you do with it? Anyone can begin with coal and end with ashes, but what you really want is to get the delicious results that are the aim of the whole process. Although these many questions may daunt, they need not defeat. It is time to stop shying away from the flavor and fun of the charcoal grill and to find some answers. Charcoal. Charcoal grilling offers two choices of fuel: briquettes and hardwood, or lump, charcoal. Briquettes are ideal for beginners, having the advantages of being economical as well as simple to ignite and reliable to burn. Nevertheless, while the greater heat and shorter burn time of hardwood charcoal make it trickier to use, the appealing, smoky flavor the fuel imparts makes it an attractive choice for more experienced cooks. Grill brush. Traditional grill brushes feature wire bristles, but because of the danger of ingesting a stray bristle and since wire bristles can damage the porcelain coating on grill grates, alternatives seem preferable. Both safe and effective, these innovative options include a glass "pumice" stone, an oak scraper, and brushes with nylon or natural fibers. Charcoal starter. The primary kinds of charcoal starters are charcoal chimneys and lighter fluid. Chimneys provide a relatively safe and effortless way both to measure and ignite charcoal, but lighter fluid also gives satisfactory results. Avoid conventional lighter fluids, however, because the heavily synthetic composition is unhealthy and imparts an unpleasant flavor. Instead, buy bio-fuel lighter fluids, which are derived from food products. Grill thermometer. If your grill does not include a built-in thermometer, you will want to buy your own. Instant-read thermometers are popular, but their expense is daunting. Consider instead a quick-read thermometer, which is far less costly and equally effective. A clean ​charcoal bbq grill is most effective, so take a few minutes to ensure your grill is in prime condition. You can use a best seller premium charcoal grill or a simple portable charcoal grill for your grilling experience, but this step is important either way. Run a brush over the grate to remove any residue from your last ​outdoor cooking session, and then clear away all debris, especially ashes. Ashes block vents, and free air flow is necessary for managing temperature. Check all the product details to know your tools inside-out, and if necessary, contact customer service of the place you purchased your bbq grill from. After your portable grill is clean, line the bottom with foil to facilitate cleanup, being careful not to cover any vents. 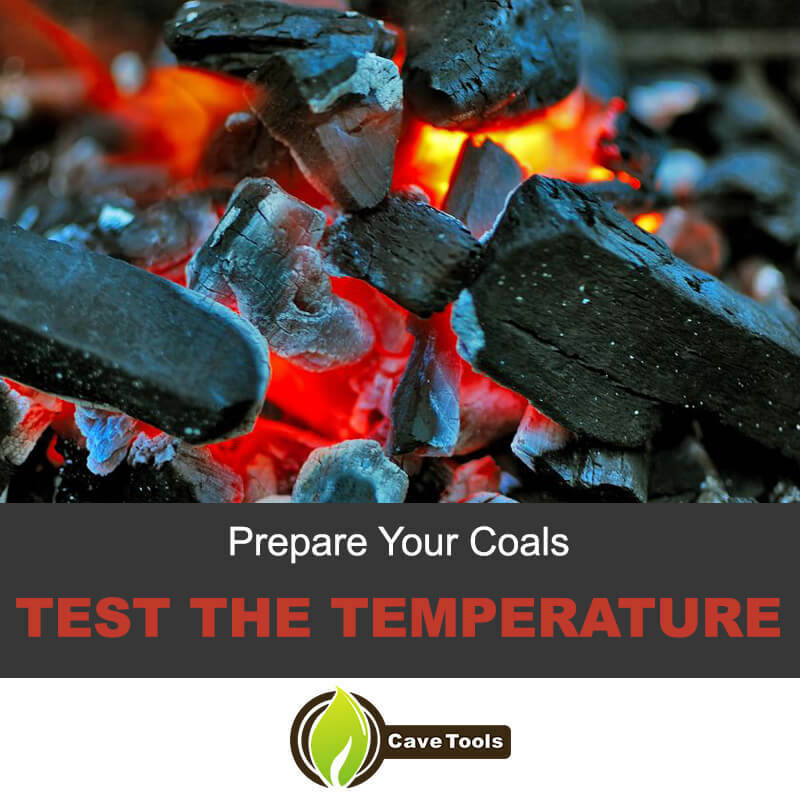 How much charcoal you use depends on your cooking temperature. The greater the amount of charcoal, the higher the temperature will be. A charcoal chimney offers the easiest way to measure your fuel: filling the chimney completely produces high heat; filling only a quarter of it gives low heat; and filling half to three-quarters of the chimney results in medium to medium-high heat. If you are not using a chimney, consider how much charcoal you need to line the bottom of your grill. Achieving exact measurements may take some practice, but begin with a single, even layer for low to medium heat and two to three layers for high. There are two principal ways to ignite your coals. For the first, pyramid them on the bottom of the grill. This shape promotes movement of air and therefore reduces smoke and allows your coals to burn to greatest effect. To ignite your pyramid, infix and light a few regularly spaced firelighters, or add ¼ cup of lighter fluid for every pound of coals. After concentrating the fluid in the middle of the pyramid, wait 30 seconds before applying a flame at several points around the base. For a more effortless method, use a charcoal chimney. Simply stuff newspaper into the base of the chimney and pour the charcoal on top. Positioning the filled chimney inside the grill, ignite the newspapers. For protection, wear leather grilling gloves and use long matches. After letting your charcoal burn down to an ashy color, spread it out. How you arrange your coal will vary. For quick-cooking foods such as hot dogs, evenly cover the bottom of the grill. If your cook time is longer, however, form a two-zone fire by layering all your charcoal in half of the grill. Your food cooks slowly and indirectly over a drip tray on the other half. For more nuanced cooking, place a single layer of charcoal in one half of the grill and two to three layers in the other. This technique, called a two-level fire, allows medium and high heat within the same grill. Reserve a space without charcoal to provide a refuge for your food in case of flare-ups. At this point, replace and preheat the grate to help prevent food from sticking. You will also want to use the grate for determining cooking-level temperatures. The easiest way to measure the temperature is, of course, with a thermometer. If your grill does not have one built in, use a leave-in digital meat thermometer. When the lid is in place, push it through the upper vent. Otherwise, lay it on the grate such that the end does not come into contact with the grate itself. If you do not have a thermometer, you can still test the temperature. Place your hand close to the cooking surface and count the seconds until it hurts. The fewer seconds you can endure, the hotter the temperature is. A five-second count indicates low temperature, two seconds signify high, and anything in between denotes medium heat. Once you have reached your desired temperature, add the food. Be sure to use your tongs and spatula to manipulate it throughout the cooking time, as grilled food requires frequent turning to achieve a thorough and even result. Be careful to leave enough room for maneuvering in case of flare-ups. Should a flare-up occur, transfer your food to a safe portion of the grate until the fire burns itself out. Closing the vents will accelerate the process, but avoid spraying water, since this will scatter the grease and exacerbate the problem. Occasionally move the food around the grill to keep it in contact with fresh hot surfaces. Also, if you are indirectly cooking food, end your grilling session by briefly placing it over the coals. Both techniques produce excellent grill marks. Streamline the process of adding fuel by keeping a charcoal chimney filled and lit. The best way to tell you have fully cooked your food is to insert an instant- or quick-read thermometer into the center of it. Know the safe internal temperature for your meat, and bring the temperature to within a few degrees of this mark. Food will continue to cook after being removed from heat, so letting it rest for a few minutes before serving will ensure proper doneness without overcooking. To keep food warm, wrap it in foil and place it on the grate away from the coals. When you are finished, extinguish your fire by covering the grill with the lid and closing the vents. Then, before the grill has cooled, use a grill brush to clean off the grate. Set aside whatever coal is left and remove the ashes to a metal container. After soaking them overnight to ensure they are completely extinguished, dispose of them. Completely envelop the soaked ashes in foil before throwing them away. For further safety, use a fire-proof trash can. Are you ready to turn words into wonderful food and with that, turn from gas grills to the real best sellers?? Charcoal grilling may seem a challenge, it is true, but more than a a grilling experience challenge, it is an exciting and stimulating adventure. Once we have solved the mystery of the charcoal bbq grill, we can find all the pleasure that is inseparable from it. It doesn't matter where you start: with a deluxe charcoal grill or with a simple portable charcoal grill. 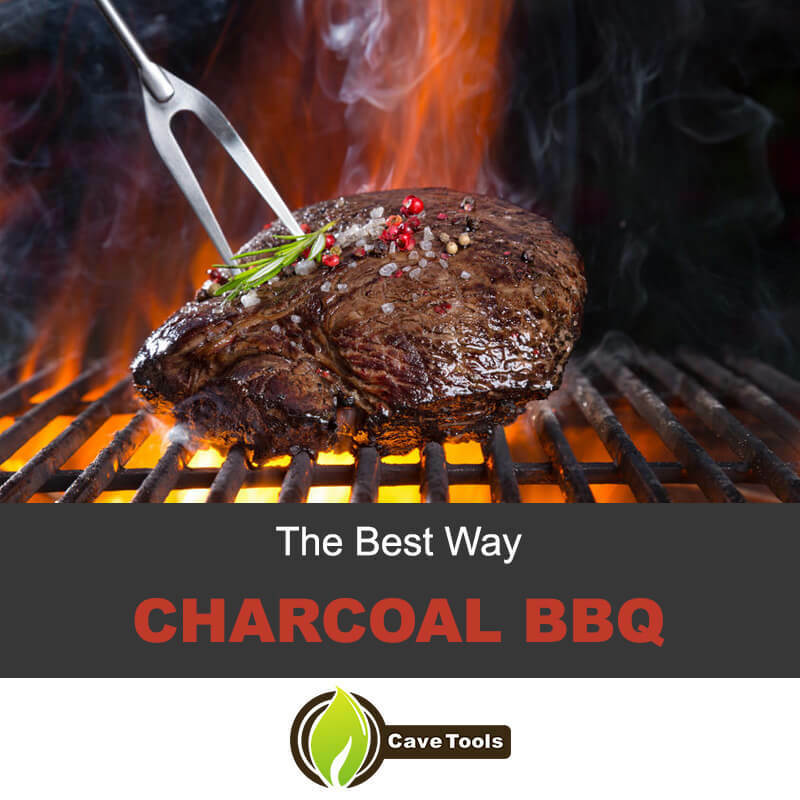 If you are ready to embark on your ​adventure of grill charcoal barbecue, share your thoughts with us in the comments below and pass this article onto your friends. It is time to get out the grill and start cooking! What is the Difference Between Lump Charcoal and Charcoal Briquettes? Charcoal briquettes are manufactured by charcoal companies. They are made by compressing wood with additives. This makes them cheaper than lump charcoal, but they also burn for a longer period of time. Lump charcoal is made naturally by burning wood without oxygen. It is the most pure type of charcoal and burns very hot. Lump charcoal does not create very much ash, whereas briquettes create a lot of ash. Do I Really Need a Chimney Starter For my Charcoal Grill? No, you do not need a chimney starter for the grill because you can light the coals using lighter fluid. However, the chimney starter is definitely recommended. It creates a very hot fire without using any additives from the lighter fluid. In addition, it is very easy to use - you just load it up and light a newspaper underneath the chimney. Before you know it, you can dump hot coals into your grill. How Much Charcoal Do You Need to Fuel a Charcoal Grill? 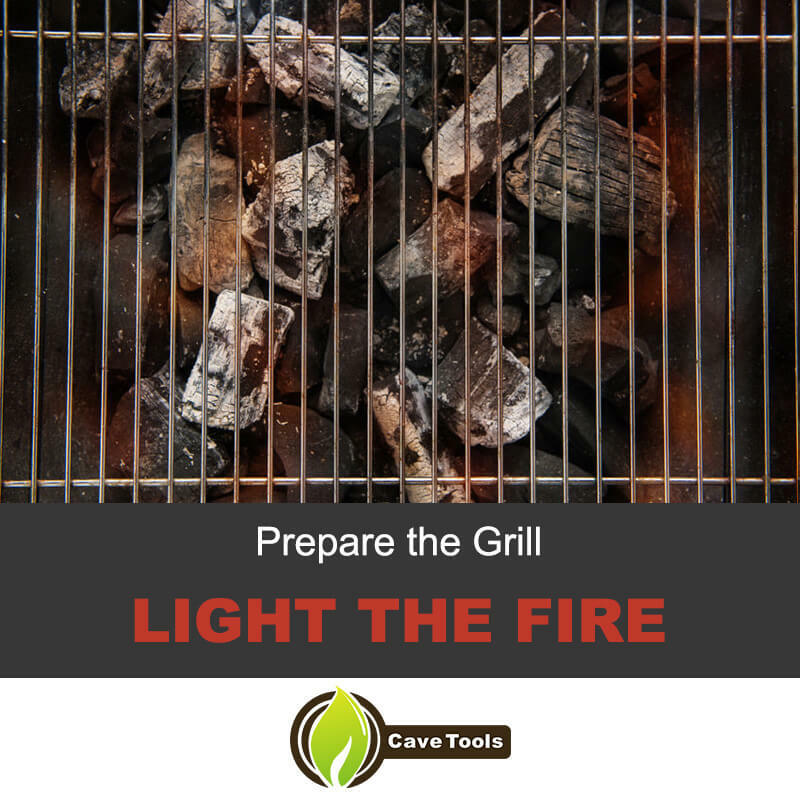 If you are creating a very hot grill, you will need more charcoal than if you are cooking over low heat. In general, you will need three pounds of charcoal for every hour you plan to cook. If you are cooking hotter, you may need four or five pounds. It is always best to have more charcoal than you plan to use, because you don’t want to have to go to the store to get more once you’ve started cooking! Should You Use Grill Spray Cleaner to Clean a Charcoal Grill Grate? Many times, all you need to clean the grill grates is a wire bristle grill brush. Once the grill is preheated, you can rub the grates using the brush to clean them thoroughly. 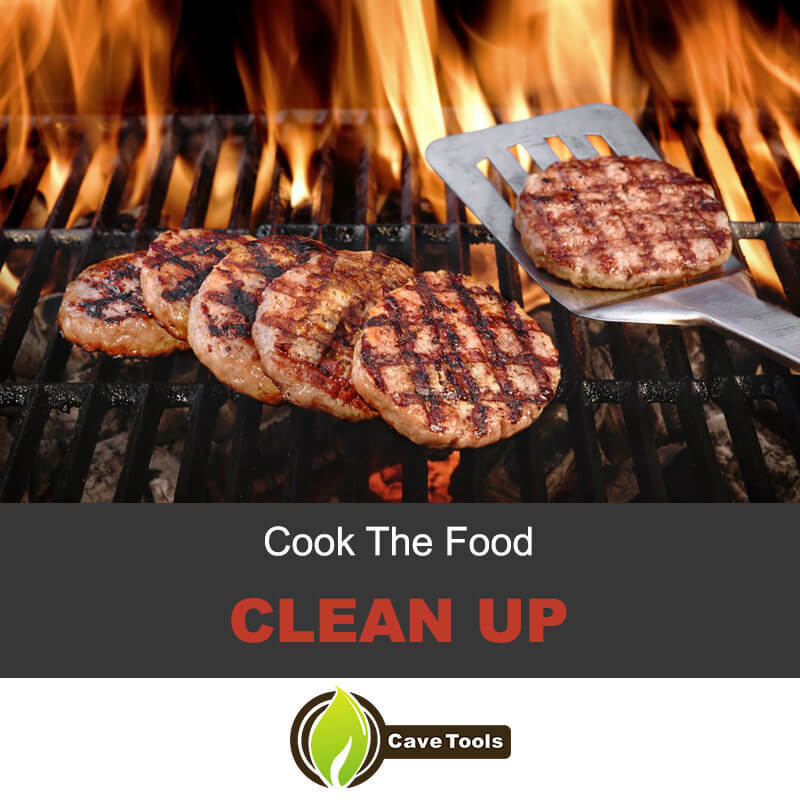 If you have cooked something that is particularly messy or if you are using a very used charcoal grill, you may want to use grill spray cleaner to help. Can You Use Indirect Heat Cooking Techniques on a Charcoal Grill? Yes, indirect grilling is very easy on a charcoal grill. To do this, you only need to build the fire on one side of the grill. This will be the direct heating side. The other side (without the coals) will be the lower temperature zone for indirect heat grilling.